Lots of fun was had this year. We went to several parties. 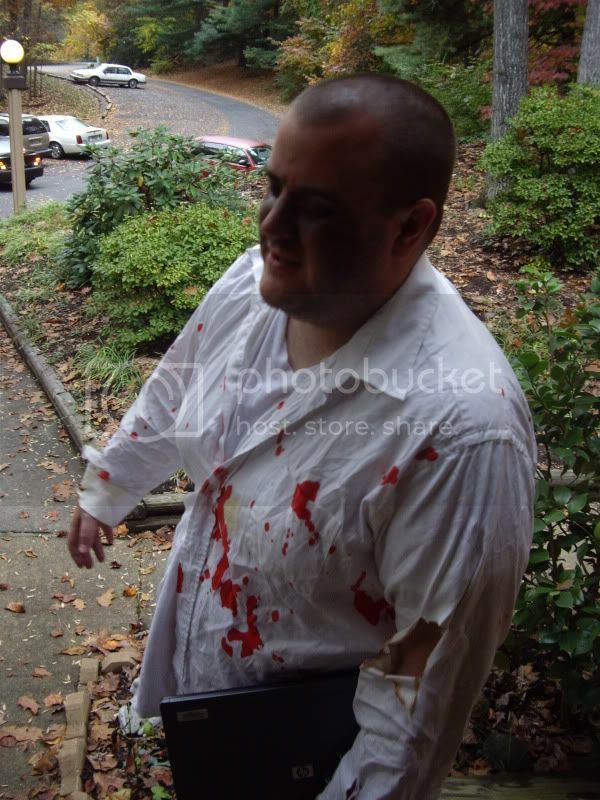 John made a zombie costume which he used for all of our costumed events. 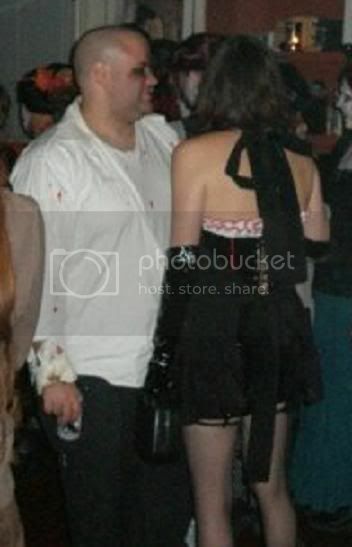 My 1st costume was an evil nurse like what I described in a previous post. 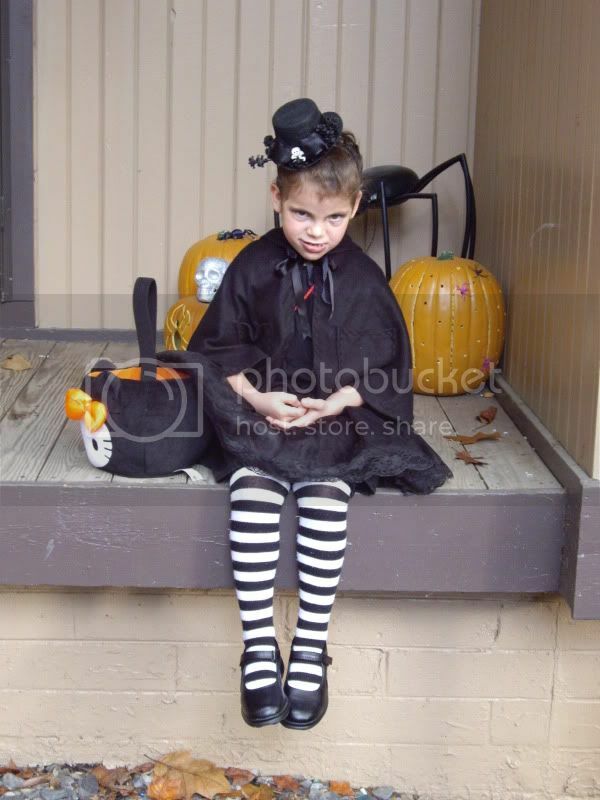 My 2nd one was a creepy lady to go with my daughter's Vampire costume. My last costume was Liz Rosenberg from SNL's coffee talk to go with my best friend's Kit McSmash's Linda costume. 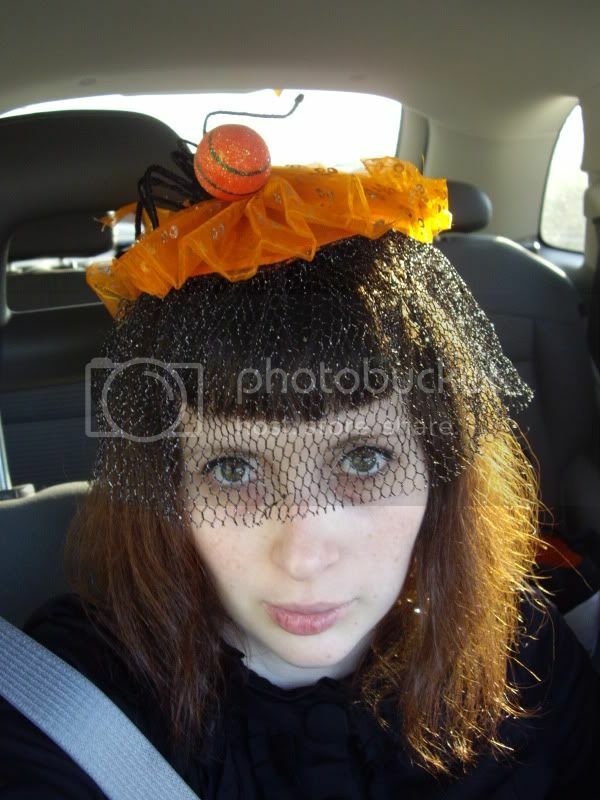 Here are some photos from our Halloween adventures. 1st party - 10-17-2009 - Photo taken by our friend Tim. JD heading for work - 10-29-2009 - He won the costume contest. When you manage a call center, you can feel like a zombie any day. Halloween just gives you the chance to express your "real" self. 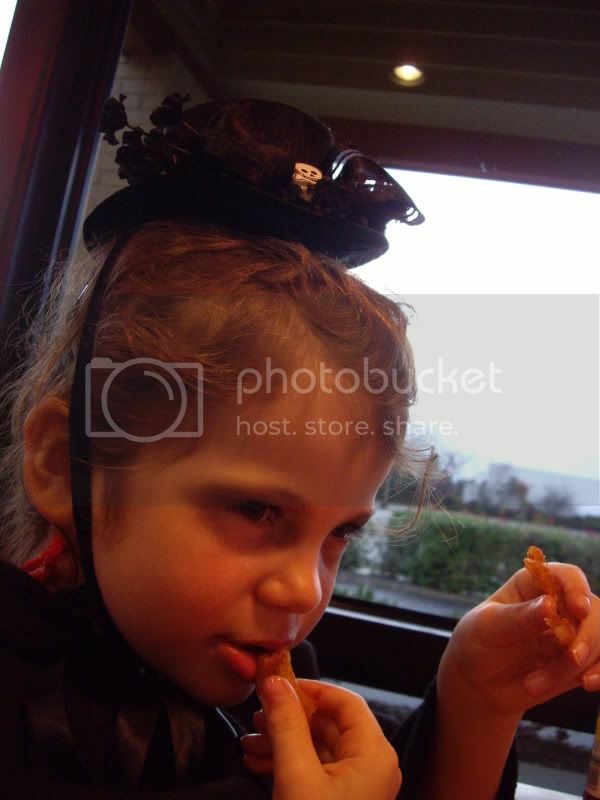 Halloween Evening - 10-31-2009 - Trick or treating in SCarytown and Arby's for dinner. Vampire Alex - I made her cape and little hat. 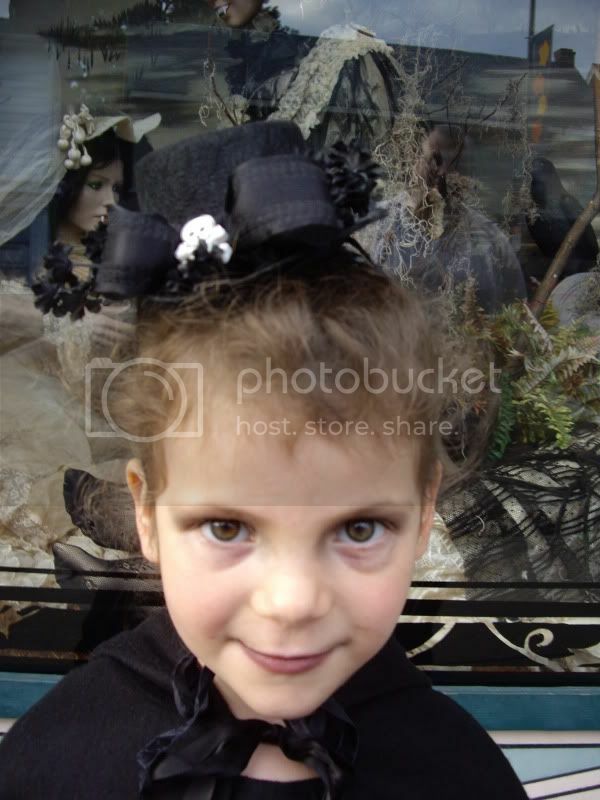 I actually made the little hat for myself for a Victorian costume, but it looked much better on her. The tights, black shoes, black shirt and under skirt, she already owned. The top skirt was $5 at Wal-Mart. I used a black glittery makeup crayon for her eyes and a lightly applied black lipstick for her lips. She has glow in the dark vampire teeth in her mouth, but they were cumbersome, so she didn't wear them much. Scary Mommy - My mom bought me this hat as payment for watching her kitties for a week. I have matching gloves too, but I didn't wear them. The rest of the outfit was a long sleeve black t-shirt under a black pleated long sleeve shirt, a long skirt with rouching details, skull socks and black knee high boots. 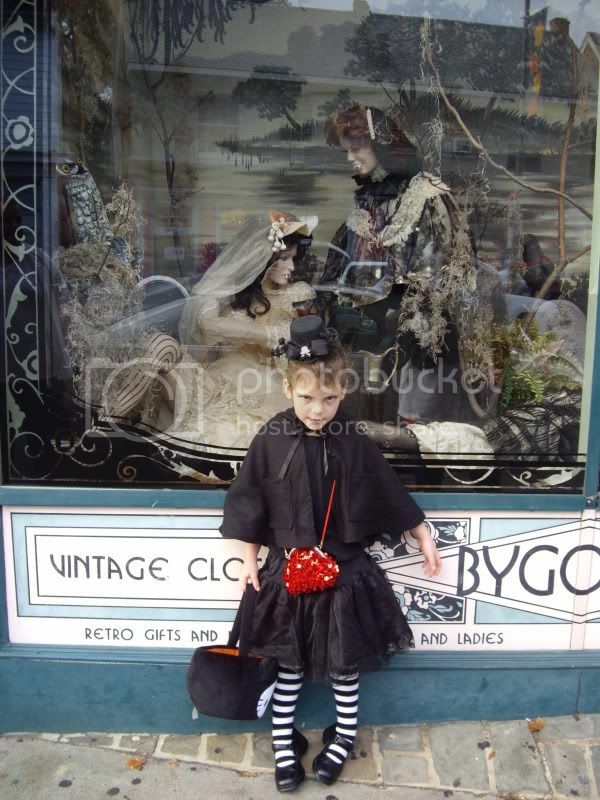 Alex outside of Bygones Vintage shop. The shop had a vampire themed window display, so Vampire Alex of course needed a photo with some other vampire ladies. 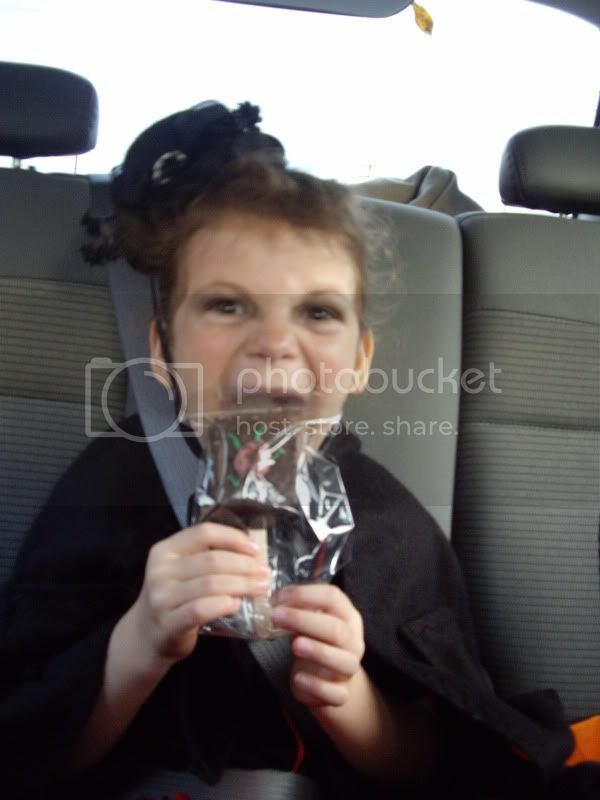 Vampire Alex attacking the candy bar. 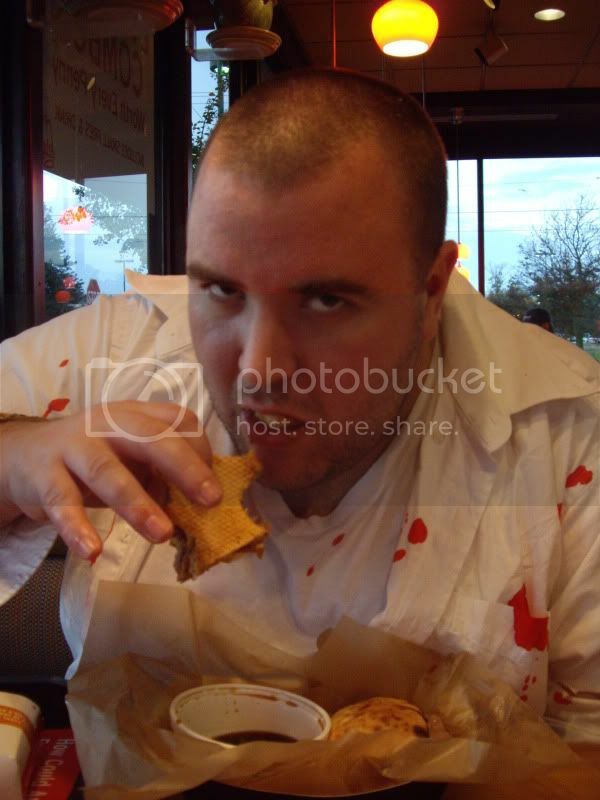 Zombies eat sandwiches when the brain supply is low. Vampires prefer curly fries when the blood supply is low...but they aren't happy about it...lol. After dinner at Arby's, we dropped Alex off at my parents for the evening. I changed into my Liz Rosenberg costume at their house. My mom took a picture of the full costume, but I need to get that photo from her. 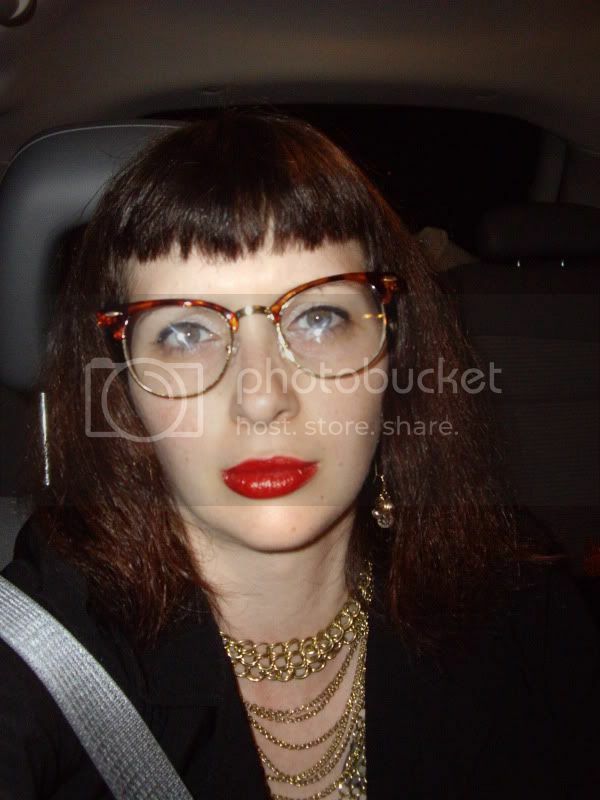 I took this one in the car while John was inflating the tires before heading to Fallout and Mars Bar for drinks and dancing. 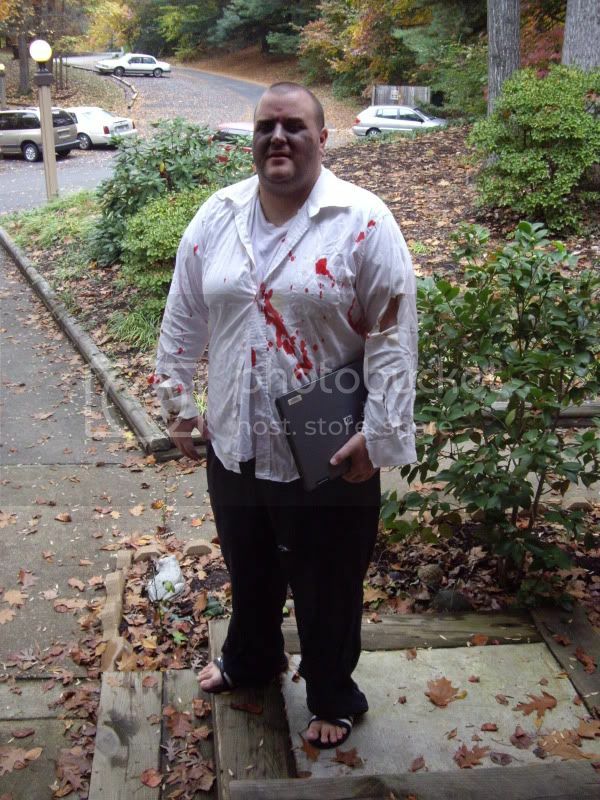 John stayed in his zombie costume.